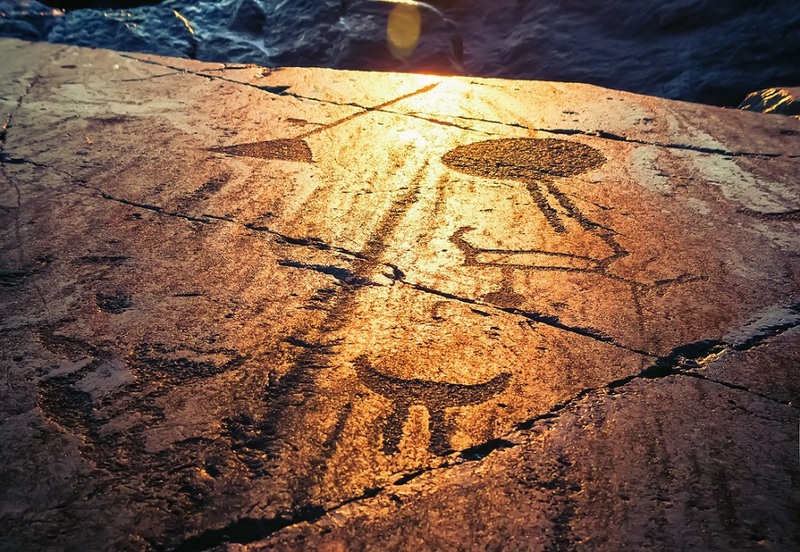 The Onega petroglyphs are rock engravings located on the east coast of Lake Onega in the northwest of Russia. According to reports, the thousands of petroglyphs date back to around 5,000—6,000 BC. Experts have identified around 1,200 petroglyphs scattered in an area of 20 km, including several capes, such as Besov Nos, which features the mysterious ‘Demon petroglyph’. The engravings are 1-2 mm deep and represent animals, people, boats and geometric shapes, such as circular and half-moon symbols, but also what some authors even suggest may be representations of constellations. 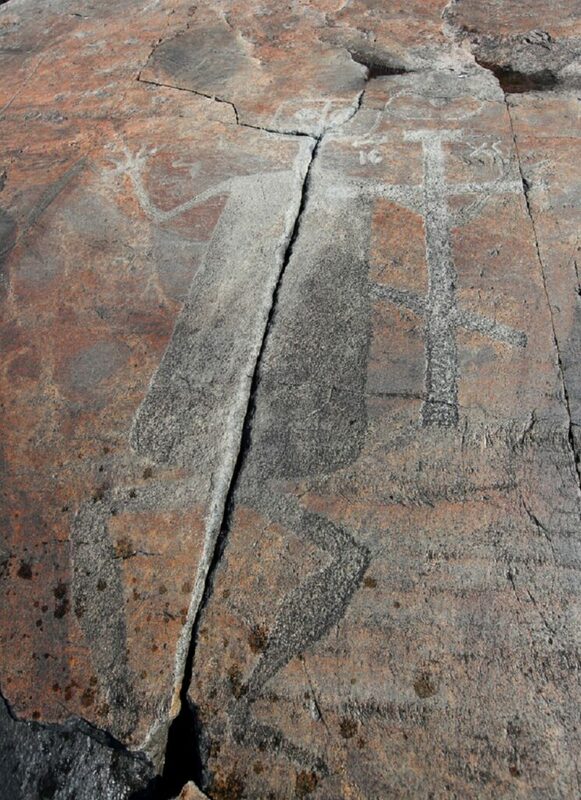 The Onega Petroglyphs—located in the Karelian Republic—are considered as the most complex and expressive rock art examples in northern Europe. 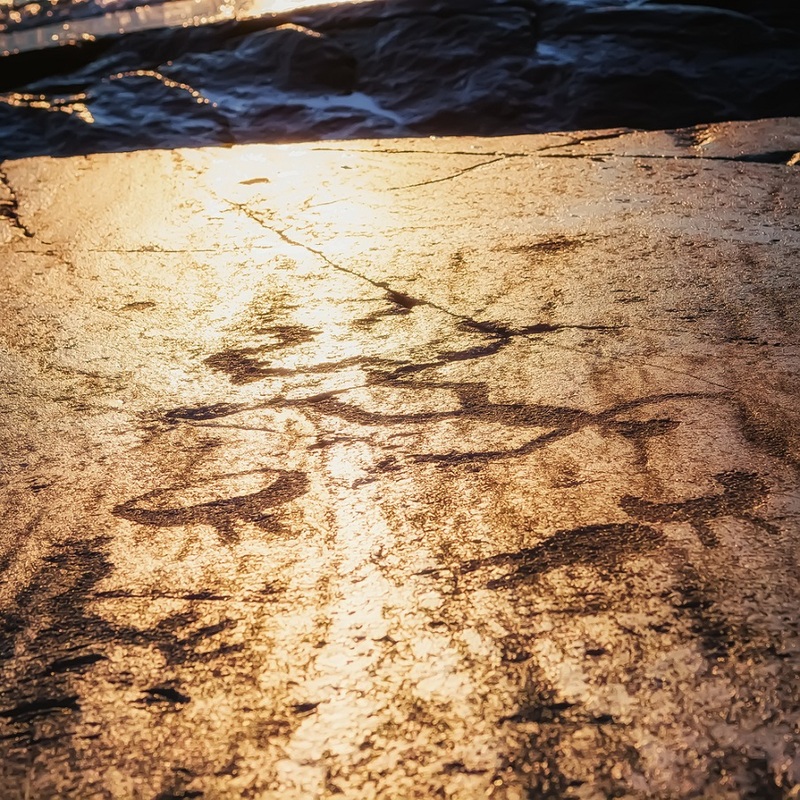 The enigmatic figures etched in rock on the shores of Lake Onega feature countless ancient symbols that depict religious, and ritual scenes, as well as warfare and everyday life. The first rock engravings in the Karelian Republic were discovered in 1848 by the curator of the Museum of Mineralogy of St. Petersburg Konstantin Grevingk near the village of Besov We on the shore of Lake Onega. 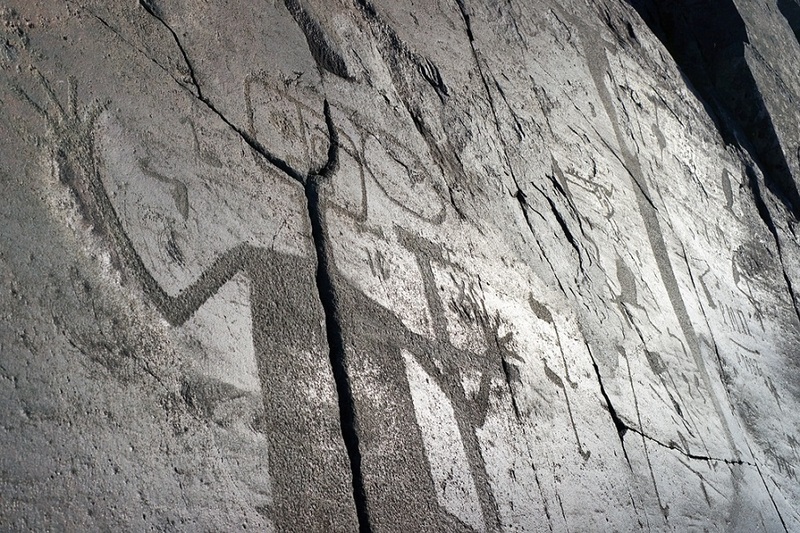 At the beginning of the 20th century, the Onega petroglyphs were studied by Swedish researcher Gustaf Hallström. There are a number of extraordinary symbols reproduced in the rocks of Lake Onega. In addition to circular and half-moon shaped signs with rays, among the Onega Symbols we can identify anthropomorphic figures, sometimes creatures that resemble moose wolfs, and images of so-called shaman canes, etc. Almost half of all prints on Lake Onega are swans, ducks, and geese. There are few scenes of human occupation. The content of different accumulations of petroglyphs varies greatly, which is probably due to the age difference between the petroglyph groups, and changes in human occupation through the Neolithic period. Curiously, at the end of August, from the end of Cape Besov we can sometimes see how a large reddish sunbeam gradually sets in, and on the opposite side, the bright, large and completely full moon rises. Perhaps, similar phenomena that ancient man saw from the shores of Lake Onega served as an incentive to depict the circular and half-moon shapes that many scientists consider symbolic images of the sun and the moon. When the sun sets on the horizon, the petroglyphs “disappear” right away. We see an absolutely clean and lifeless stone surface. This phenomenon, called by scientists “the effect of the prehistoric cinematograph,” even impresses anyone who witnesses it today. The petroglyphs at Cape Besov feature a strange, two-meter-long “Demon petroglyph” as well as depictions of “Catfish,” and “Lizards”. The curious depiction of the so-called “Demon” covers two stones which appear to e broken in half. Local legends suggest that it was there were ancient people performed a set of rituals and sacrifices more than 8,000 years ago and that supernatural beings were fed with blood that sipped into the crack between the stones, separating the image in half. The ‘Demon’ petroglyph caused outrage among monks in the 15th century. The monks decided one day to carve a massive cross next to the ancient petroglyph, as a sign of fighting evil ‘spirits’.